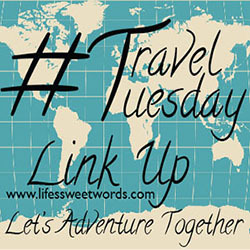 Life's Sweet Journey: Words for Wednesday: Magic of Beginnings! And then the day came, the purchase went through and I was ecstatic... but, I was also scared! This dream is something I have held onto for a while. One that I hadn't let go of like I tend to do with others. But then the reality of a dream fulfilled sunk in and I was nervous- I AM nervous. Nervous that it was stupid, worried that it wasn't good timing, that maybe it was an impulse decision. But as this weekend approaches (the weekend that we get to actually go pick her up, stay in it for the first night and bring her home) I am trusting in our decision to follow a dream! I am excited for the magic of this new beginning, doing something completely new to us and doing it together. I read somewhere that once a dream is fulfilled it's gone, that that dream no longer exists, but I don't believe that. I believe that the dream only grows, that now the dream of hitting the open road has traction. I believe that the dream doesn't die, it just morphs and changes shape. That dream now holds within it thousands of tiny little dreams; dreams of all the places that the we will go, all the adventures we will have and all the new things we will learn about each other and ourselves. I am trusting in the magic of new beginnings! Girl, this is inspiring! 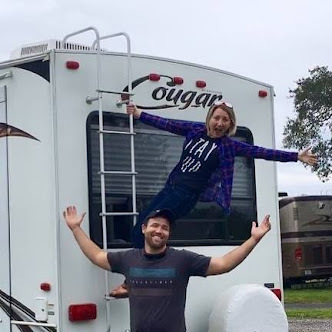 It's been one of my husband and I's goals to do this too and while I'm not sure it will ever happen (two kids will make it tricky I think...) I'm excited to follow along with your adventure! Thank you!! We are excited!! And I say why not?! I think the adventure would just be double (or I guess quadruple) the fun with two little ones :) Thanks for stopping by! Maybe we will be adventuring together soon! !